The 2nd time was yesterday September 19 at 1:00am with the Screech calling for the better part of a minute, starting after the Barred Owl called the 1st of 3 times. This time the two were much closer together leading to my question. Is this natural selection in action with the Screech becoming dinner for the Barred or have the two co-existed long enough that the Screech knows what it’s doing and will be around to call another day? Here’s the audio from the 19th. A young and late lingering Ruby-throated Hummingbird has been around the yard for a few days now. 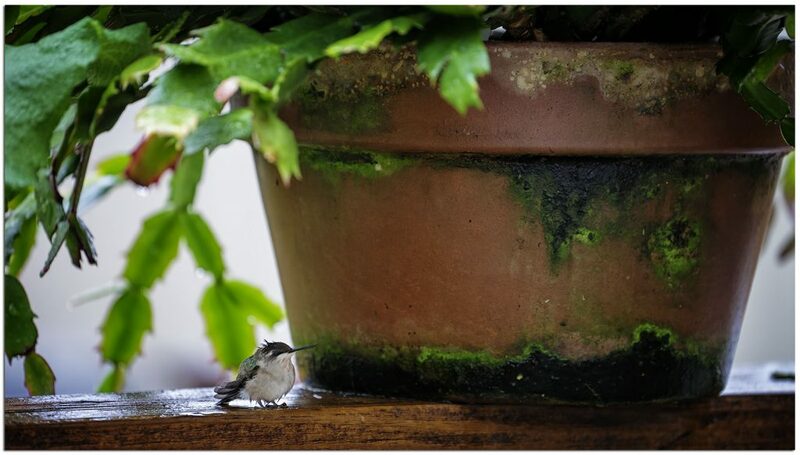 I was a bit surprised to find it taking shelter from the storm alongside a large pot of Christmas Cactus on my deck rail this noon. The many plants I have in pots on the deck are what it’s feeding on not taking advantage of the 3 feeders within feet of the plants. Who knows he / she may figure it out yet. A brief video of a young Ruby-throated Hummingbird taking shelter form today’s high winds and rain on my deck rail under a Christmas Cactus. 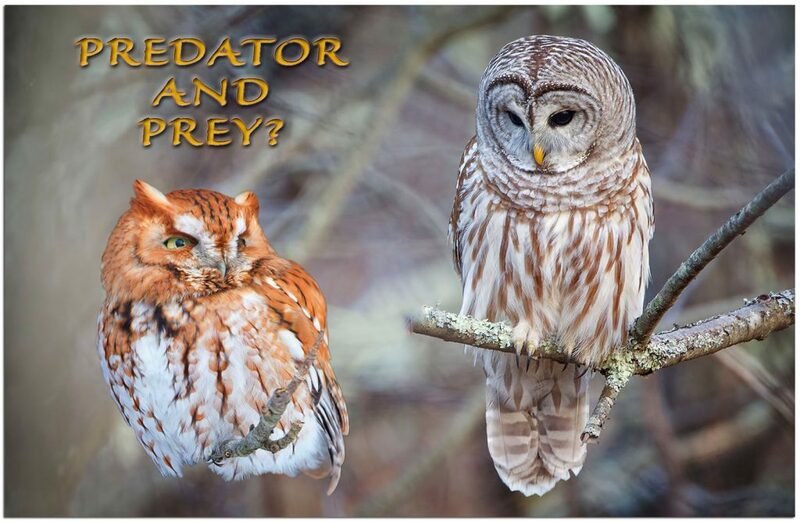 first, yes barred owls will eat screech owls, (even long-eared owls) but it maybe an owl calling is less of a threat than a silent owl. I have had a barred owl quietly check me out when whistling for screech but never called and did appear to be looking for a meal. Also the pair of screech’s that nested (site 1) one season had 2 barred in winter, a GHO in the spring and at least 3 snowy owls in the winter too, all very close to their successful nest so they didn’t dislodge the pair of screeches. But it also seems at times Barreds will drive out (or eat) screech owls where I live I used to hear screech owls every year, now I haven’t heard them in 3-4 years, but hear barreds all the time and close. I have also had screech owls calling from dense cover and never show themselves, perhaps a safer ‘call’ space. Anyway, very cool to hear all the night-time guests of yours.